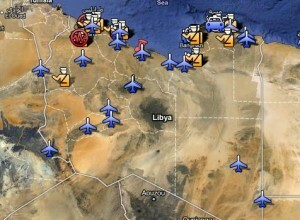 An Iran Google Maps user is creating an up-to-date interactive Google map layer that outlines the locations and details surrounding the recent protests in and around Libya. The Libya protests are the latest in a line of citizen’s efforts to upheave national establishments in North Africa and the Middle East, with the likes of Libya and Bahrain inspired by the successes of Tunisia and Egypt in removing their respective dictators and bringing democracy to their nations. Libya, Bahrain and Iran are the latest countries to be greatly affected by popular people protests inspired by the uprisings in Egypt and Tunisia.